William Groth (Billy) died at the age of 52, on Monday, October 17, 2005 at Muskego Health Care Center, after a courageous sixteen year battle with Huntington’s Disease. 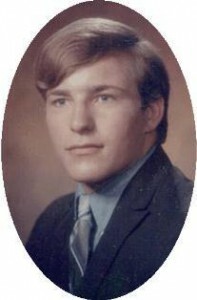 He was born May 15, 1953 to Harold and Elizabeth “Betty” Dahm Groth in Port Washington. Billy was a graduate of Port Washington High School. While in high school, he was a successful athlete who enjoyed football, track, wrestling and weight lifting. As an adult, Billy served his country by enlisting in the Army where he was stationed in Europe. The outdoors were a favorite place of Billy’s, as he enjoyed hunting, trapping and fishing. Most of Billy’s employment years were spent at Simplicity of Port Washington and at the Kohler Company. While living in Sheboygan, Billy was a dedicated member of the 1907 Club. Billy is survived by his four children, Emily, Jacob, Amanda and Samuel; two brothers Alan (Amy) Groth of Oconomowoc and Daniel Groth of Neskowin, Oregon. He is further survived by friends and relatives, including Lucy Gasser, Denise Groth, Kari Fleischmann; nieces Amy Zabel, Bonnie Cerda; close cousins, Patty Shroeder, Denise Plutowski, LeRoy Dahm, and by his aunt and uncle Carl and Shelby Groth as well as by other cousins throughout the region. Billy was preceded in death by his parents, Harold and Betty Groth, by his brother Stephen, and by his aunt and uncle LeRoy and Erna Dahm. Pastor Mark Voll will officiate funeral services 11 AM Saturday, October 22, 2005 at Friedens Church, 454 N Milwaukee St., Port Washington. Interment at Zur Ruhe Cemetery. Family will receive friends after 10 AM Saturday at church.